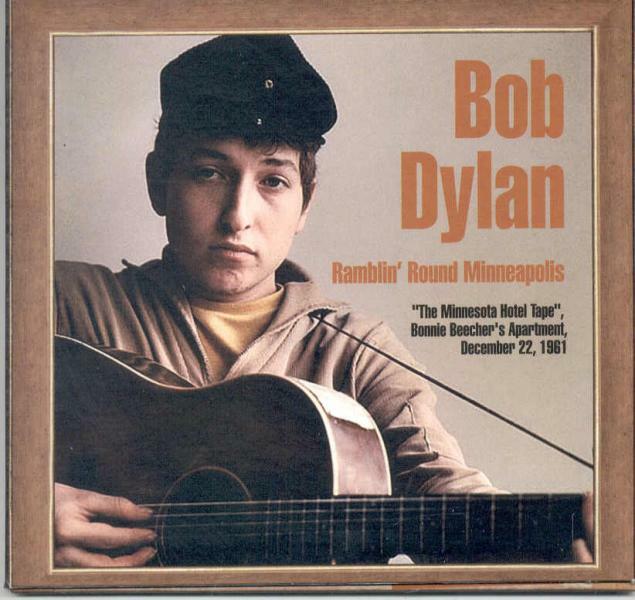 …the most famous of Dylan’s many “home” tapes, the so-called “Minneapolis Hotel Tape.” Recorded by Tony Glover at Bonnie Beecher’s apartment in Minneapolis, whimsically dubbed The Beecher Hotel by Dylan (hence the title of the tape), large portions of this tape appeared on the first Dylan bootleg album, the legendary Great White Wonder. The December tape has been in wide circulation for many years. It was actually the first bootleg ever produced. It was released on a 2 LP set in 1969, and went by the title ‘Great White Wonder’ It has been available under various titles a countless number of times in the decades that followed. The quality has generally been very good, and the performance tells the story of a fresh faced boy just out of high school, who had the energy and natural ‘world-traveled weariness’ quality that would forever change the world. It is absolutely required material for even the smallest collection. Hold the bottle in here. OK wait I gotta fix this, he man you gotta see some pictures of me. I’m not kidding yeah at Whittakers. I look like Marlon Bran.. James Dean or somebody. You gotta see. Like two of this blue turtle neck sweater on. All kinds of pictures of me, without a guitar. Or else you can just see the top of it. (Dave Glover talks off mike) Ha ha I know what you mean. 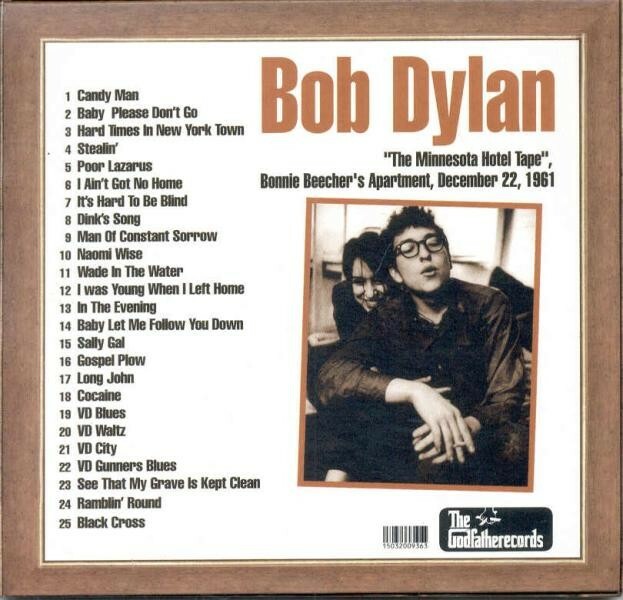 According to Scaduto [Anthony Scaduto], Dylan gave copies of this tape to several friends, suggesting that he felt it was a good representation of his development as an artist. According to Shelton [Robert Shelton], Glover also taped Dylan at this time “doing [some] r&b-type Chuck Berry songs.” There is no evidence to support Shelton’s assertion, although Dylan and Glover may well have jammed together on those kinds of songs. Rumor has it that Bonnie was possibly the girl from the north country. What is true is that she was featured in an episode of The Twilight Zone and married Wavy Gravy.